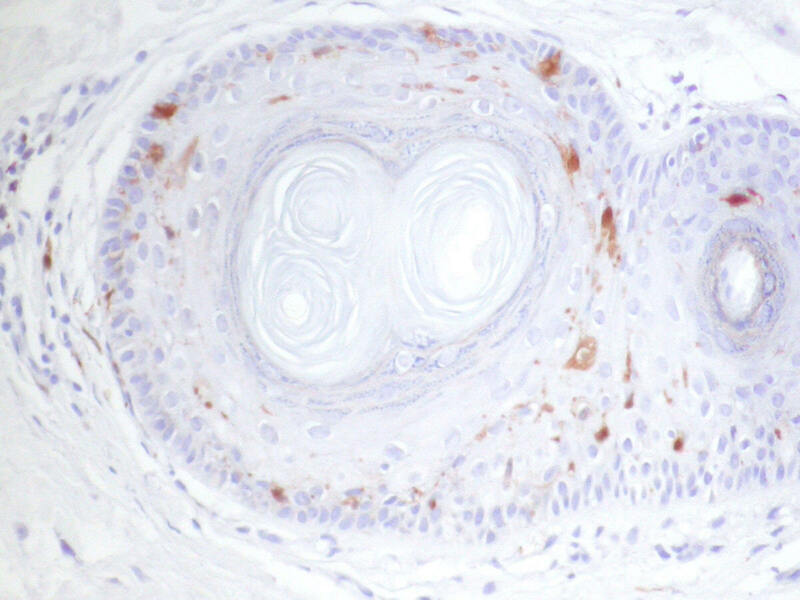 Current 2-step polymer-HRP and polymer-AP detection system are widely accepted in the field of immunohistochemistry. However, the current 2-step polymer detection system demonstrate 3 weaknesses: 1. It can only enhance the signal for mouse primary antibodies and does not enhance the signal for rabbit primary antibodies. 2. The current 2-step polymer detection system offers customers only for broad spectrum (for mouse and rabbit) due to the limitation of the bridging antibody. 3. The current 2-step polymer system does not provide satisfactory sensitivity when detecting rabbit antibodies, goat antibodies and rat antibodies. Through new conjugation technology, Polink-2 Plus Series overcomes the weaknesses of current 2-step polymer detection systems. It demonstrates ultra sensitivity and high specificity to mouse, rabbit, goat and rat antibodies. This system reduces incubation time by 10 minutes for each incubation step, saving a total of 20-30 minutes for the entire process. 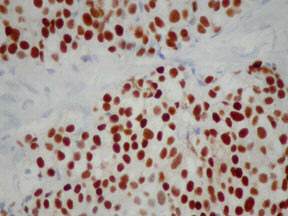 Polink-2 Plus HRP DAB Broad kit stained mouse anti-ER on human breast cancer tissue. Polink-2 Plus Detection Kits for broad spectrum (mouse and rabbit) demonstrate excellent sensitivity to mouse and rabbit antibody with choice of Horseradish Peroxidase (HRP) or Alkaline Phosphatase (AP) conjugate. This innovative technology surpasses other 2-step polymer technologies when detecting rabbit antibodies. It’s super sensitivity allows customers to detect difficult-to-work antibodies. 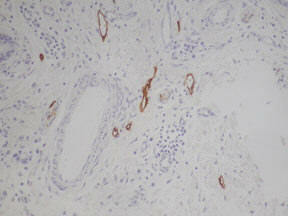 Polink-2 Plus HRP Broad kit stained rabbit anti glucagon 1:400 on human pancreas. A leading competitor’s 2-step polymer kitstained rabbit anti glucagon 1:400 on humanpancreas. Polink-2 Plus Detection Mouse Kits demonstrate excellent sensitivity to mouse antibody with choice of Horseradish Peroxidase (HRP) or Alkaline Phosphatase (AP) conjugate. This innovative technology surpasses other polymer technologies by 2-4 fold when detecting difficult-to-work antibodies. Polink-2 Plus HRP or AP Rabbit Detection Kit is an ultra sensitive polymer detection system. 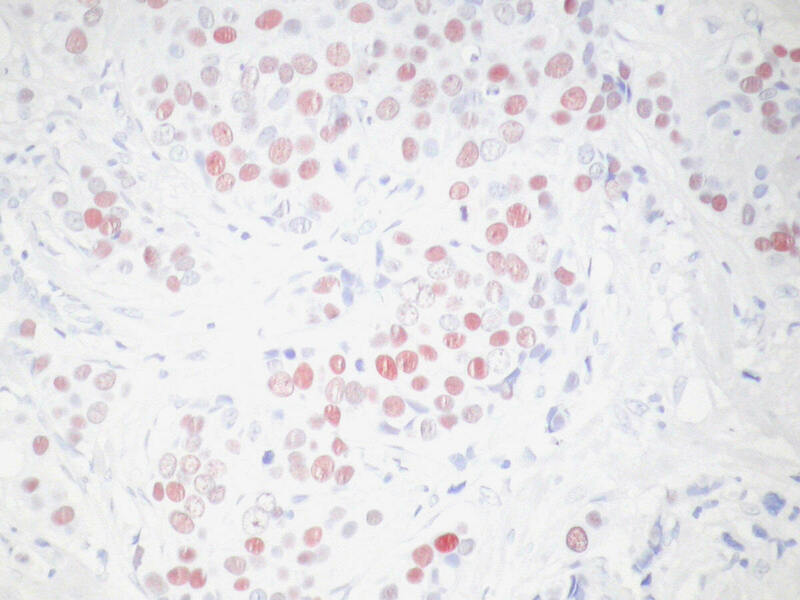 It uses rabbit antibody specific enhancer to help amplify the polymer-enzyme conjugate reaction to achieve super sensitivity and specificity in immunohistochemistry staining. It produces 2-4 fold sensitivity compared to other 2-step polymer detection system on the market. User may need to further dilute primary antibody due to super sensitivity of Polink-2 Plus detection system. It is a biotin-free system, therefore, overcomes the non-specific staining caused by streptavidin /biotin system due to endogenous biotin. Most commonly used specimens for this system are: frozen tissue, paraffin-embedded tissue, freshly prepared lymphocytes and fixed culture cells. It is compatible either with manual or automated systems. Staining conditions need to be optimized by user. Polink-2 Plus HRP or AP Goat Detection Kit is an ultra-sensitive polymer detection system. 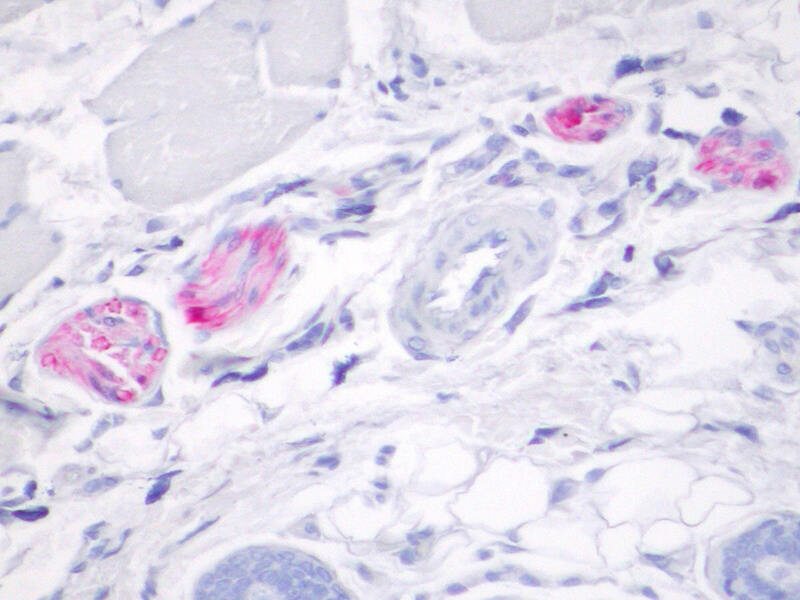 It uses Goat antibody specific enhancer to help amplify the polymer-enzyme conjugate reaction to achieve super sensitivity and specificity in immunohistochemistry staining. It produces consistent immunostaining outcomes on archival tissues and on difficult-to-work antibodies. User may need to further dilute primary antibody due to the super sensitivity of Polink-2 Plus detection system. It is a biotin-free system, therefore, overcomes the non-specific staining caused by streptavidin/biotin systems due to endogenous biotin. Most commonly used specimens for this system are: frozen tissue, paraffin-embedded tissue, freshly prepared lymphocytes and fixed culture cells. It is compatible with either manual or automated systems. Staining conditions need to be optimized by user. 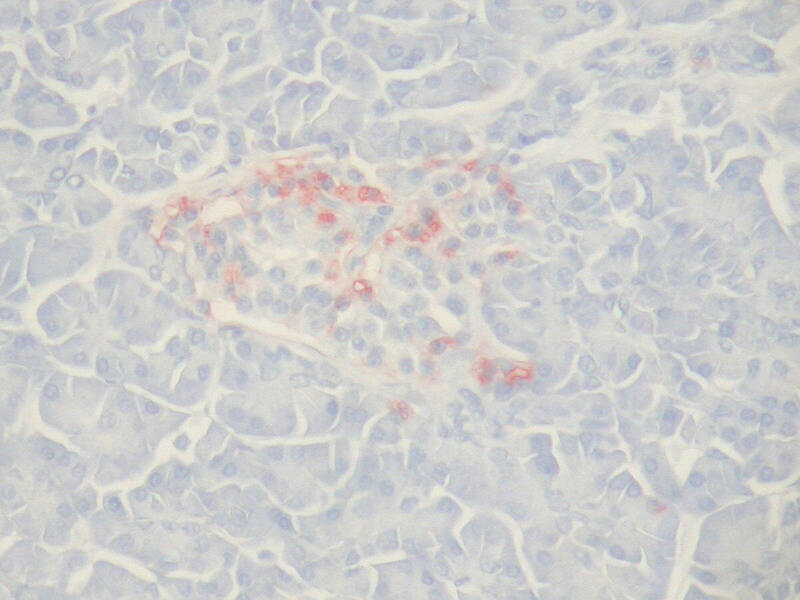 Detecting RAT primary antibody on MOUSE tissue is a very difficult task in research field due to background staining issues. Polink-2 Plus HRP or AP Rat-NM Detection Kit is specially designed to solve the problem. 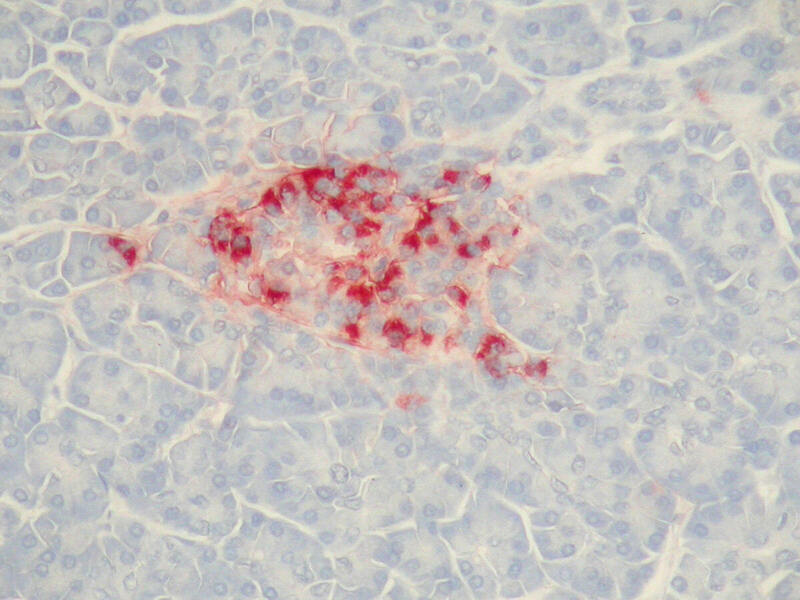 The secondary antibody is adsorbed to mouse and human serum proteins. 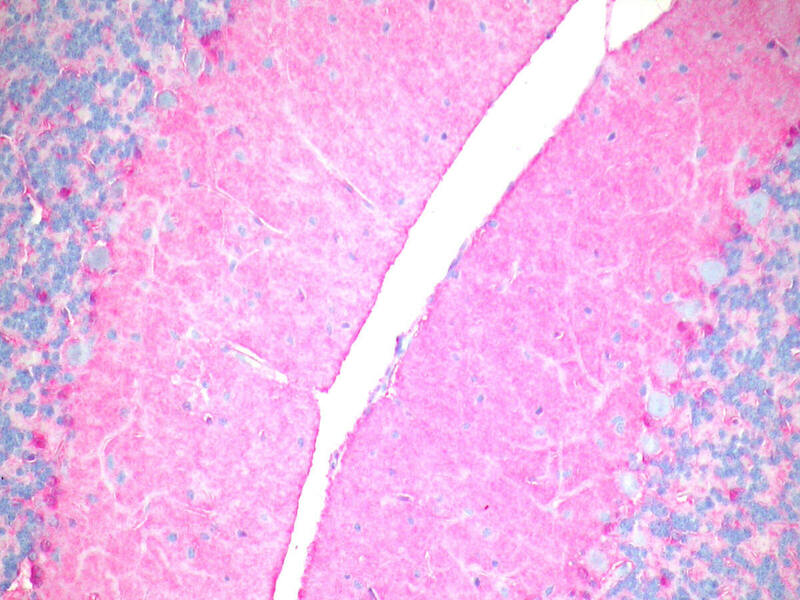 This technology provides excellent specificity to detect rat primary antibody (user supplied) on mouse tissue. 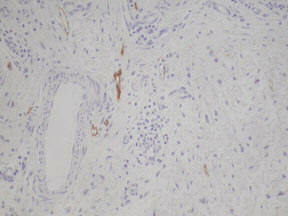 Besides mouse tissue Polink-2 Plus Rat-NM Detection kit also can be used on human tissue as well. 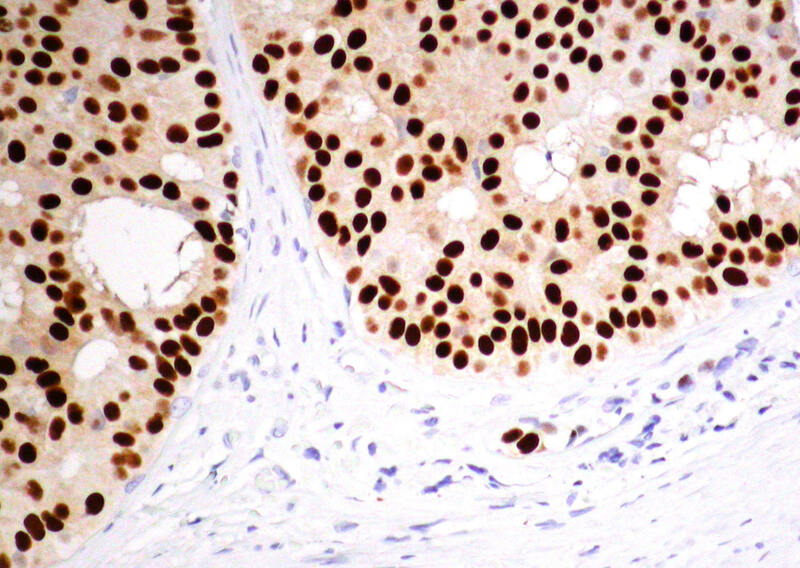 Polink-2 Plus Rat-NM Detection Kit uses rat antibody enhancer to help amplify the polymer-enzyme conjugate reaction to achieve super sensitivity and specificity in immunohistochemistry staining. 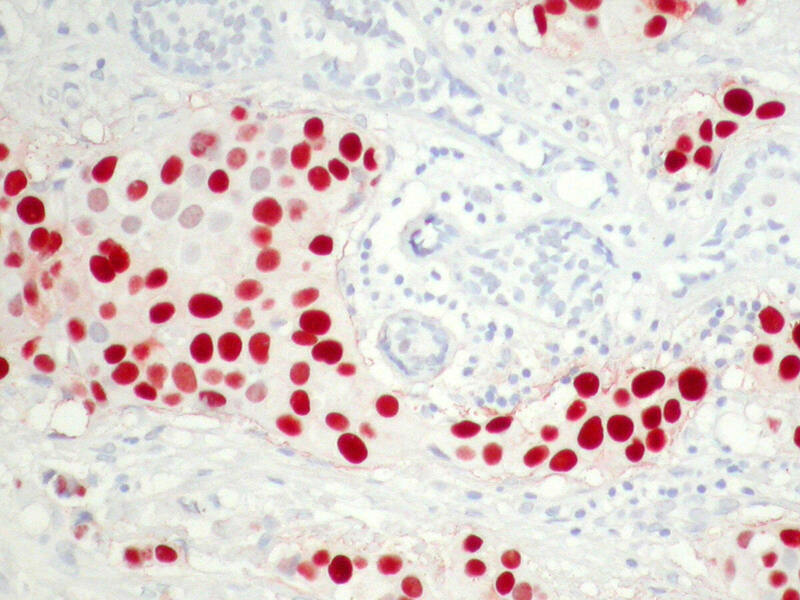 It produces consistent immunostaining outcomes on archival tissues and on difficult-to-work antibodies. User may need to further dilute primary antibody due to super sensitivity of Polink-2 Plus detection system. It is a biotin-free system, therefore it overcomes the non-specific staining caused by streptavidin/biotin system due to endogenous biotin. Most commonly used specimens for this system are: frozen tissue, paraffin-embedded tissue, freshly prepared lymphocytes and fixed culture cells. It is compatible with either manual or automated systems. Staining conditions need to be optimized by user. Detecting MOUSE primary antibody on RAT tissue is a very difficult task in research field due to background staining issues. Polink-2 Plus HRP or AP Mouse-NR (no cross react to rat) Detection Kit is specially designed to solve the problem. 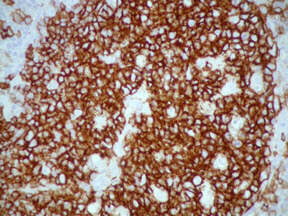 The secondary antibody is adsorbed to rat, rabbit and human serum proteins. This technology provides excellent specificity to detect mouse primary antibody (user supplied) on rat tissue. 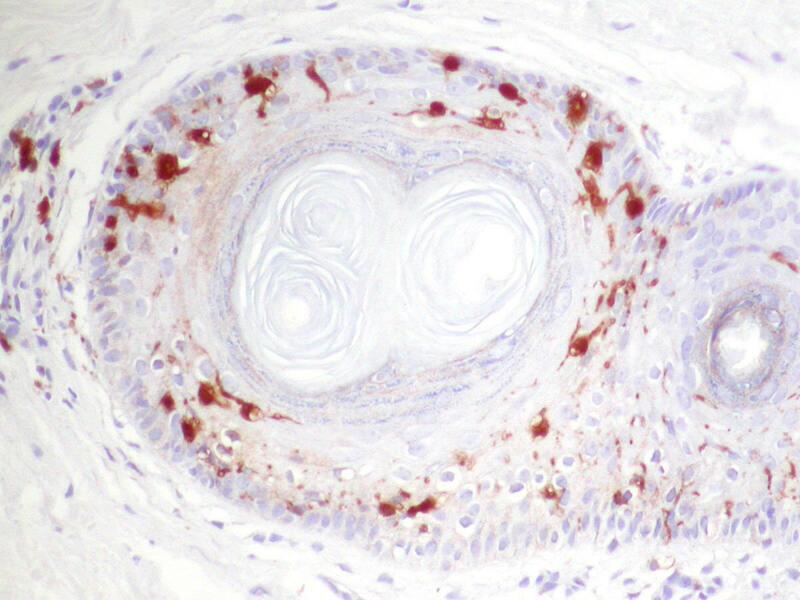 Besides rat tissue Polink-2 Plus Mouse-NR Detection kit also can be used on human tissue and rabbit tissue as well. Polink-2 Plus Mouse-NR Detection Kit is a ultra sensitive polymer detection system. 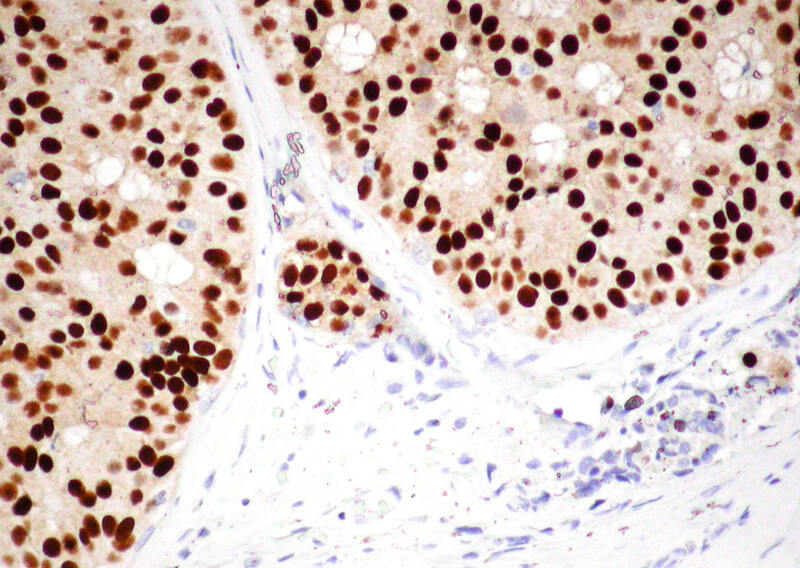 It uses mouse antibody enhancer to help amplify the polymer-enzyme conjugate reaction to achieve super sensitivity and specificity in immunohistochemistry staining. It produces consistent immunostaining outcomes on archival tissues and on difficult-to-work antibodies. User may need to further dilute primary antibody due to super sensitivity of Polink-2 Plus detection system. It is a biotin-free system, therefore it overcomes the non-specific staining caused by streptavidin/biotin system due to endogenous biotin. Most commonly used specimens for this system are: frozen tissue, paraffin-embedded tissue, freshly prepared lymphocytes and fixed culture cells. It is compatible with either manual or automated systems. Staining conditions need to be optimized by user.